Ever wondered where U.S. presidents stay when they go on vacation? With Presidents Day fast approaching, we thought it would be fun to take a look at some hotels that have been popular with American presidents in the past. Follow in the footsteps of President Bush (#41 and #43) and stay at the Gasparilla Inn & Club, a resort that has been frequented by many famous guests over the course of its history. Today the hotel remains at the epicenter of Boca Grande and last year celebrated its centennial. Why you should visit: Florida can be a great destination in the winter and spring months, especially for those searching for an escape from the cold weather at home. But if you are looking for a unique slice of Florida, skip the theme parks and over-crowded beaches, and instead head over to the historic town of Boca Grande. Here you can trade your car for a bike or golf cart and relax while enjoying the beauty and quaintness of this “old Florida” destination. If you want to stay in the exact same room as a U.S. president, the historic Amway Grand Plaza Hotel could be just the place for you. Originally known as The Pantlind, the hotel was not only deemed “One of the Ten Finest Hotels in America” (in 1925), but it has also welcomed several American presidents over the years – including President Gerald Ford and President George W. Bush. Today, a plaque in the lobby features a complete list of room numbers where various U.S. presidents have slept, and each guest room has a brass sign on the door indicating the date and name of the president who resided there. 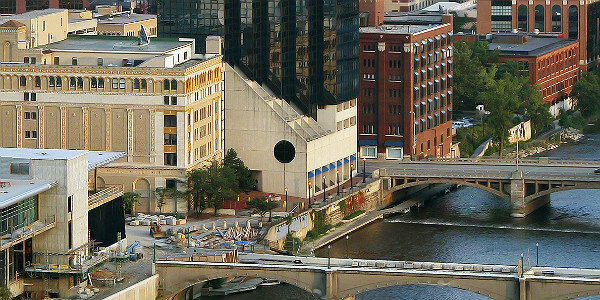 Why you should visit: Grand Rapids is a year-round destination. During the winter, you can enjoy the vibrant city nightlife as well as the nearby ski slopes of Cannonsburg. And during the summer, you can cruise the riverwalks and soak up the sun at a West Michigan beach. Plus there are museums and art galleries aplenty – including the Gerald R. Ford Museum – as well as lots and lots of craft beer. The Omni Homestead Resort and Spa is a grand property that oozes old-world charm. Set in the Allegheny Mountains of Virginia, it has offered Southern hospitality to 22 U.S. presidents over the course of its lifetime. Perfect for travelers looking to enjoy outdoor pursuits, the resort not only boasts indoor and outdoor hot spring facilities – including the Jefferson Pools, named after Thomas Jefferson who stayed at the resort in 1818 – but also its own ski resort, two championship golf courses, horse riding, fly fishing and miles of hiking trails. Why you should visit: As its name suggests, Hot Springs, Virginia, is a great place to go if you are looking to follow the footsteps of your 18th-century ancestors and enjoy the healing power of spring waters. It is also a wonderful destination if you are seeking a quiet rural escape to a village whose buildings are mostly the same as they were 150 years ago. Located in Riverside, the Mission Inn Hotel and Spa boasts having had such a long-running history with U.S. presidents that it has created a Presidential Lounge to pay homage to the 10 U.S. presidents who have passed through the hotel. On the wall are portraits of the various presidents of the United States who have visited the Mission Inn during their lifetimes, including Presidents Roosevelt, Taft, Nixon and Reagan. Enjoy a drink in the lounge, or be a part of history and stay the night yourself (prices are very reasonable, at just $169 and up). Alternatively, if you only want to know more about this unique property, you can sign up for a daily tour with the Mission Inn Foundation and Museum. Why you should visit: Los Angeles can come with a high price tag if you are looking to enjoy some of its more popular tourist attractions. But for those not interested in paying $92 for a Disneyland ticket, or who can’t afford to shop on Rodeo Drive, there are plenty of things to do and see that won’t break the bank. 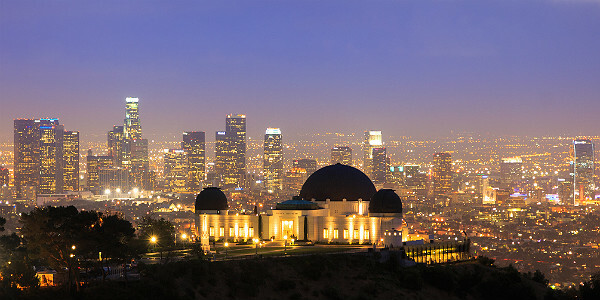 Enjoy the Getty Museum, iconic Griffith Observatory and South Bay beaches for free, or pay less than $20 (per adult) to get into the Natural History Museum or LA Zoo. Travelers who really want to live like a president for a night should pull out their checkbooks and reserve a night at the country’s truest Presidential Suite. Located in the timeless Towers of the Waldorf Astoria New York, the suite has been the New York City home-away-from-home for every American president since Herbert Hoover. More importantly, it is designed to reflect the details of the White House and is appointed with the personal desk of General Douglas MacArthur and one of President John F. Kennedy’s rocking chairs. With a price tag of $1,999, you will be pleased to know that the suite also includes access to the hotel’s private motor court entrance and exclusive Towers entrance! Why you should visit: Ah … New York, New York. There is nothing quite like the bright lights of the city that never sleeps. New York in the summer is a time for street festivals, rooftop lounges, beer gardens and concerts in Central Park. Spring and autumn are perfect times to visit New York’s many museums, and winter always conjures up images of ice skating and Christmas shopping. No matter the time of year, New York is sure to delight. The enviable location of the St. Regis Washington D.C. (formerly the Carlton Hotel) cannot be disputed. Located on K Street, it is only two blocks from The White House. However, this hasn’t stopped every American president from staying here at one time or another. While definitely on the pricier side (around $375 per night), the hotel is currently offering a special promotion that allows you to save 40% on your second night. Why you should visit: You can’t talk about presidential destinations without mentioning America’s capital (and presidential hub), Washington, D.C. Each neighborhood has a unique identity, and there is a sense of history everywhere you turn. Where else can you check out a 19-foot marble statue of the 16th president, grab a chili dog (or some other tasty morsel along the U Street Corridor), and then salsa dance yourself into the wee hours? Best of all, you can see and do so much in the capital for free.